In recent years, a growing issue has been gathering momentum in the cash game world. Doyle Brunson and Daniel Negreanu are two big names who have broached the problem on social media, with other players adding their thoughts and experiences to the discussion. The undeniable truth is that public games at the higher levels are in decline and private games are on the rise. With an increasing number of players trying to find softer games by pre-arranging the line ups and roping the games off to top players, public games are increasingly short of players and lacking the healthy balance of stronger and weaker players. The problem started coming again to the fore when Daniel Negreanu posted on Twitter a list of five things that make a player good for a poker game. Others started adding their thoughts and before long the conversation turned to players being shut out of games, and why this happens. Doyle Brunson then posted his experiences of private games which really highlighted the extent of the problem. The legendary poker veteran claimed he could no longer get a seat in games at the Aria Casino anymore. Negreanu responded by stating his belief that the problem is growing and will continue to do so as long as casinos are facilitating the option for losing players to shut top players out of their game. Two years ago, Somuchpoker wrote an article covering the issue of private games in poker games, which used to be largely confined to the super high-stakes games in Macau. As Winfred Yu told us, VIP’s want to play sociable games against pros who have 100% of themselves and are willing to give plenty of action. If you don’t fit with the VIP’s vision of the type of game they want to play, you simply don’t get invited in. Back then, Negreanu also made worrying comments in his blog about games at the Aria and how certain players’ names would be bumped down the waiting list based on whether existing players wanted them at the table or not. Technically, it is illegal to run private poker games in this way, but establishments can easily find loopholes which allow them to be selective about the players who take empty seats. The growth of the privacy problem in live poker has not affected the online scene to anywhere near the same degree in past years. There have been issues but, other than PokerStars introducing their ‘Home Games’ feature several years ago, private games have not had much impact in the online world previously. Now though, it is a growing trend, as applications in China have been allowing players to organise their own private games over the last 4 years. 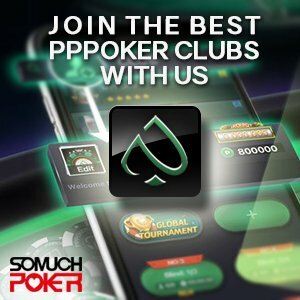 Poker Master was among the first to offer private games, but other international apps such as PPPoker soon followed suit. These applications have become highly popular, with private game owners relishing the chance to personalise their own games and the entry requirements. This is undoubtedly helping to bring more players back into online poker, but it is also spreading a private game culture into the online world, which has been damaging in the live world already. Poker has always been portrayed as a game in which the only skills you need are the relevant mental strengths and strategic aptitude to succeed. Now, it seems increasingly as though you need to be highly sociable, verbally engaging and fast-acting in order to find a seat in the game.